Nike Sky Force 88 Mid "Knicks"
Sky Force fans rejoice — one half of the "Basketball Pack" is available at retailers now. 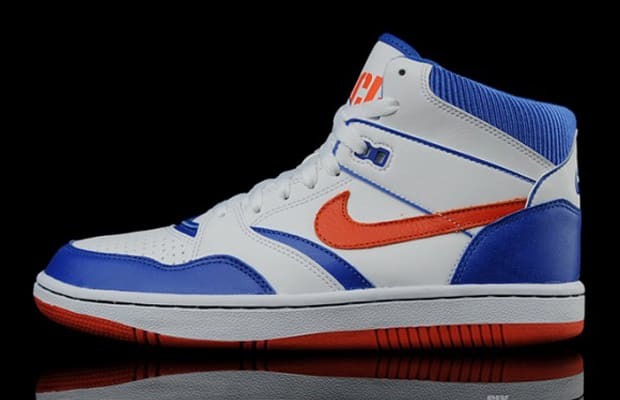 The pack features the Sky Force 88 Mid done up in colors of the New York Knicks and the Chicago Bulls. Not sure when the Bulls edition is set to release, but we can bet it&apos;ll be soon.